Janet Bernabe is the Riverside coordinator for Mi Familia Vota. 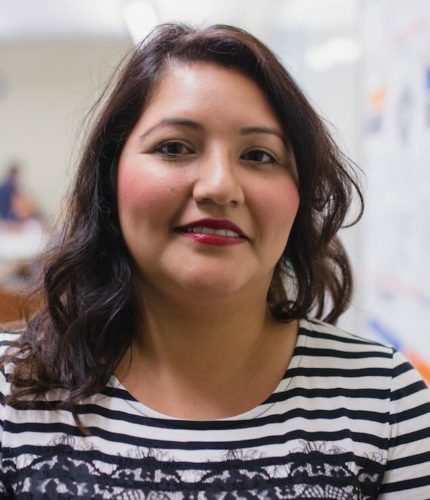 She is a first-generation graduate student in the American Studies department at California State University, Fullerton, where she obtained a double major Bachelor of Arts degree in Political Science and Chicana/o Studies. On her spare time she likes to spend as much time with her 11-year-old daughter, family, and close friends as well as traveling. Her recent trips include Costa Rica, Mexico and Lebanon – ask her about it! She draws inspiration from her daughter and parents, who immigrated from Mexico in the late 1970’s and have been married for over 35 years. Growing up as a Mexican-American/Xicana in Perris, CA, she developed a strong connection with her Mexican roots. Her ​education​, volunteer and professional work experience opened her eyes to the importance of community involvement and pushing for social, economic, educational and political equality.